Ex-manager of bankrupt enterprise not to pay to taxmen – Russia’s Constitutional Court | Russian Legal Information Agency (RAPSI). ST. PETERSBURG, March 5 (RAPSI, Mikhail Telekhov) – The Russian Constitutional Court has ruled in favor of an ex-manager of a bankrupt enterprise, who challenged the recovery from him of a sum paid by a tax authority to the bankruptcy supervisor, RAPSI correspondent reports from the courtroom. According to the Court’s decision, the responsibility to pay the bankruptcy supervisor’s remuneration could not be placed exclusively on the manager of a bankrupt enterprise even if the latter failed to initiate the insolvency procedure, as it would have been contrary to the principles of fairness and proportionality. Nevertheless, the decision reads, the provisions of the respective laws challenged by the claimant corresponded to the Constitution. 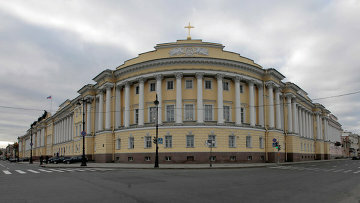 As the court materials read, yet in 2009 the Commercial Court of the Republic of Mordovia ruled an enterprise bankrupt on the initiative of the Republican tax office. After the procedure had been completed, the bankruptcy supervisor could not be paid the agreed remuneration, as the proceeds from the sale of the bankrupt’s assets turned out insufficient. The supervisor recovered the money from the tax authority, as the body responsible for the launch of the bankruptcy procedure. The authority in its turn lodged a claim to recover the sum it had paid to the supervisor from the ex-manager. The tax office’s claim had been successful and later upheld by upper courts. 18:24 05/03/2019 The Russian Constitutional Court has ruled in favor of an ex-manager of a bankrupt enterprise, who challenged the recovery from him of a sum paid by a tax authority to the bankruptcy supervisor.